In recognition of Black History Month 2011 Davis Law Group, a Seattle personal injury firm, would like to profile distinguished African-American attorney Willie E. Gary. 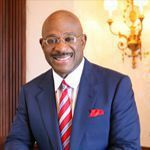 Willie E. Gary is a wildly successful litigation attorney winning over 150 separate multi-million dollar lawsuits. One of his largest cases won %500 million dollars in damages. Mr. Gary was born in Eastman Georgian on July 12, 1947. He was born to a family of migrant farm workers and is one of one of eleven children. Mr. Gary leveraged his success as a football player to gain a scholarship to Shaw University. He went on to study law at North Carolina Central University. He was admitted to the Florida Bar and opened the first Black law firm in Marin County. Mr. Gary has main numerous appearances on Oprah and is the founder of the Black Family Channel.